The Netflix app for Windows 10 now supports offline viewing. Netflix is finally making it possible to watch shows offline on your Windows PC, but you won’t be using your browser to do it. 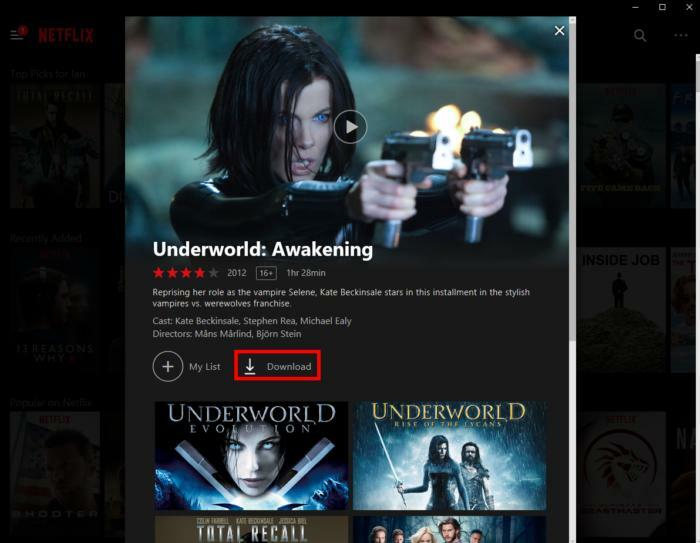 The Netflix app in the Windows Store supports downloading select titles for offline viewing. 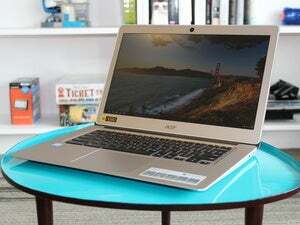 This is great news for PC users who want to watch titles on a laptop-sized screen during their next flight or an LTE coverage gap somewhere on the Great Plains. Even better, it gives you a reason to actually use Netflix’s Windows 10 app since it offers something the web app doesn’t. 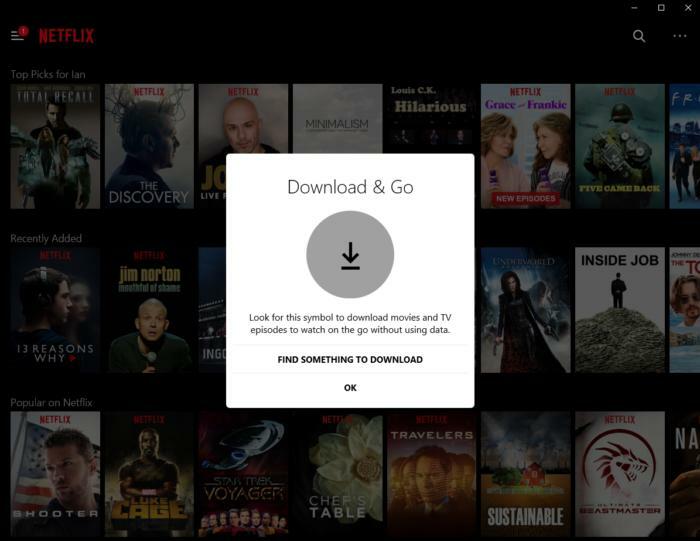 If you haven’t fired up Netflix for Windows 10 in a while, make sure you’ve got the latest version by opening the Windows Store, clicking on your user profile picture, and selecting Downloads and Updates from the drop-down menu. Here, you’ll be able to see whether the Netflix app requires an update. If it doesn’t, launch the Netflix app, and you should be greeted to a screen similar to what you see at the top of this post advertising the new feature. The Netflix download button on Windows 10. Using Netflix’s offline functionality is just the same as on a smartphone or tablet. Click on a title to see its dedicated page. If you see a download icon similar to the one pictured here then you’re good to go. Click that icon, it will turn blue and display the download progress. This can take a while, so make sure you download titles well ahead of when you need them. To find your downloads again, click the “hamburger” menu icon in the upper-left corner, and select My Downloads from the slide-out menu. That’s all there is to watching Netflix offline on your PC.